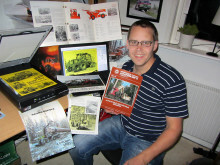 Jimmi Svensson has scanned in additional interesting documentation about older forestry machines for the Elmia Classics e-museum. He is holding a Russian brochure about a machine built on a tank chassis. “This time we’ve also included unusual machines such as Russian skidders from the 1980s,” explains Jimmi Svensson, the collector behind the project. 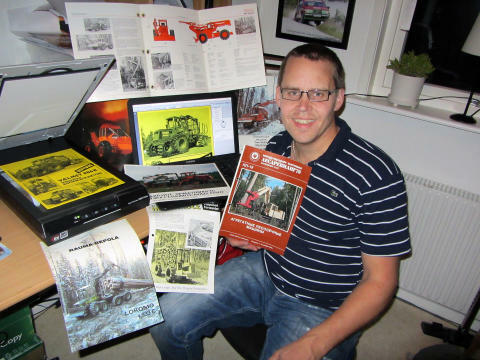 Jimmi began collecting brochures about forest machines in 1985, when he visited Elmia Wood as a ten-year-old. His interest was sparked and the brochure collection gradually expanded. In collaboration with Elmia, Jimmi has scanned his collection, which is being published as digital files at Elmia Wood’s website in the e-museum Elmia Classics. There visitors can find a searchable and very extensive database of brochures, maintenance manuals and more. 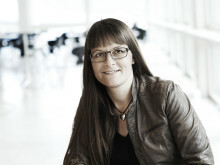 For the Kockums brand alone, there are 34 brochures in Swedish, Finnish and English. Kockums is one of Jimmi’s favourites, especially its forwarder models 850 and 85-35, and he is not alone in his interest. In forestry contexts he usually wears a Kockums cap, which attracts other fans who want to talk about machines. He has been working for the past two years as a forest machine operator, more specifically of a John Deere 1510E forwarder. But that hasn’t lessened his interest in the topic. He continues to collect, and via the e-museum he has also been sent items he previously lacked. 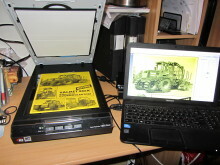 Now he’s done more scanning, and the newly added brochures feature both older and somewhat newer machines made in both the Nordic region and further afield. The oldest addition is an ÖS machine from the 1950s and the newest is a Timberjack 933 from the 1990s, a model previously made under the Lokomo name. The most unusual addition is brochures about Russian skidders from the Soviet era of the 1980s. “I don’t understand the fine details but the machines look like rebuilt tanks,” Jimmi says. 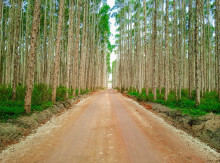 The new collection of old forestry machines is now available at www.elmiawood.com in the Elmia Classics e-museum. A new addition to Elmia Classics, the online museum of old forestry machines.